Accelerate your business career and become a responsible leader with accelerated online Master of Business Administration from Griffith University. This MBA has been designed for modern business and is built on a foundation of sustainability, responsible leadership, and global orientation. You'll learn these essential business practises in an environment geared towards innovative thinking, sustainability and building better businesses for the future. Comprised of 12 individual courses taken one at a time, this course enables you to immerse yourself wholly in each new learning area. You'll study practical business skills in accounting, economics, strategic thinking, leadership, financial management, marketing and management, as well as incorporating innovative thinking, problem solving and creative thinking into your everyday business practice. Delivered 100% online with the support of digital forums, this course is flexible, while still offering the networking benefits of studying with like-minded people. You'll remain with the same group until graduation—delivering you both a sought-after qualification and the connections to do business well in any career path you choose. Three years of full-time work experience after finishing your degree, which includes two years of relevant work experience and one year in a role requiring leadership skills (leadership can include direct management or supervisory experience and/or managing and driving change in an organisational or project-specific setting). An alternative entry pathway exists for applications without a bachelor's degree. Complete the Graduate Certificate in Business Administration from Griffith University with a minimum GPA of 4.5 and then continue to the Master of Business Administration. 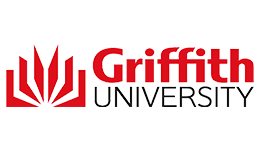 Considered a pioneer in tertiary education since starting in 1975, Griffith University has since become one of Australia’s leading online education providers, and have ranked in the top 3% of universities from around the world. Since entering the realm of online education over 20 years ago, the globally recognised institution has reinvented the way thousands of students learn with their online courses. Griffith University offers more than just an education and are passionate about innovation and new ways of thinking. The accelerated online Business Administration courses will challenge you to understand what business is really about and how you can personally make a difference in the 21st Century. Upon successful completion of this course you will receive a Master of Business Administration from Griffith University. You'll graduate from this course with a strong understanding of best practise business principles, which will enable you to seek employment in a range of leadership and management roles across a wide variety of industries. You may seek work in senior management and strategic leadership across the public and private sectors, or, if you're more entrepreneurial, this qualification also equips you with the skills necessary to start your own business. Griffith Business School is an accredited member of the Association to Advance Collegiate Schools of Business. Fill out this form and a Study Consultant from Griffith University	will get back to you.